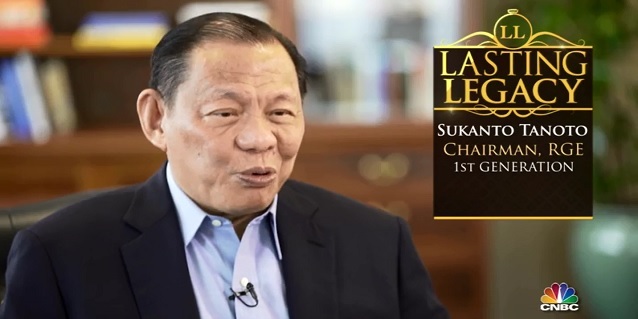 As Founder and Chairman Sukanto Tanoto celebrates his 50th year as an entrepreneur, we take a look back at the many milestones in his journey of building the business and partnering with communities. 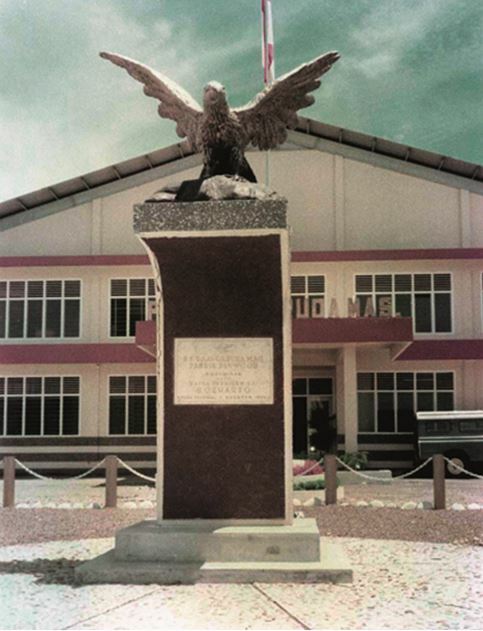 In this article, we feature the town of Besitang, Indonesia and its role in the establishment of both RGM (the direct antecedent of RGE) and Tanoto Foundation. In the early 1970s, export of round, unprocessed logs to industrializing Asian countries such as Malaysia, Singapore, Japan and Taiwan was a highly profitable business for small, local mills in Indonesia and most did not concern themselves with higher value-added products. Sukanto Tanoto, who was looking for new areas to expand into, saw an opportunity for plywood manufacturing to capitalize on Indonesia’s major push into economic development. On Mar 13, 1973, he started his plywood business called PT Raja Garuda Mas (RGM), which was the direct antecedent of RGE (Royal Golden Eagle) today. Applying for a permission certificate to build a plywood mill in Besitang, North Sumatra, Indonesia was not an easy task. Many who had obtained the permission certificates did not complete their mills. Demonstrating his commitment to the project, Sukanto Tanoto promised to complete the mill in 14 months instead of the usual two years. 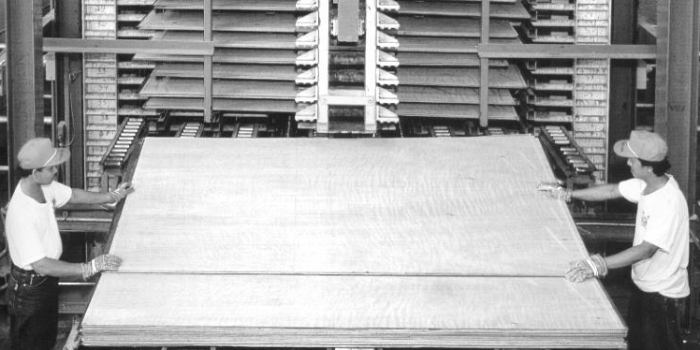 In the end, the mill took just 12 months to complete. The Minister sent his officials to conduct ground verification. 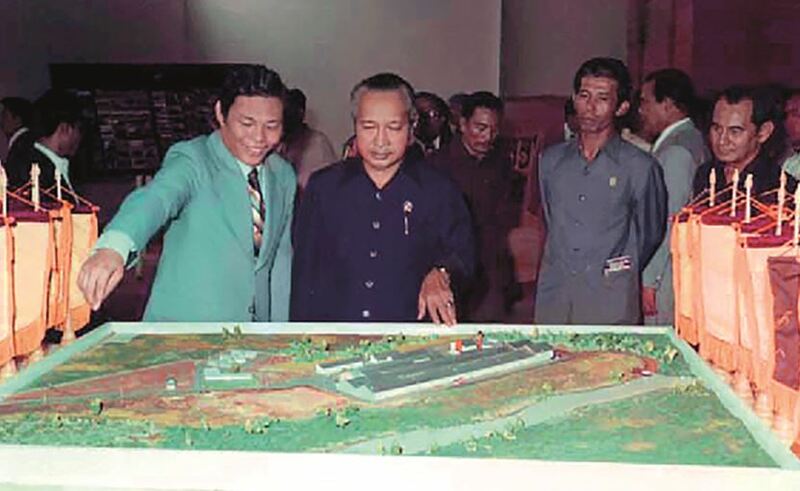 He then informed Sukanto Tanoto that then-President Suharto would be invited to open the mill. 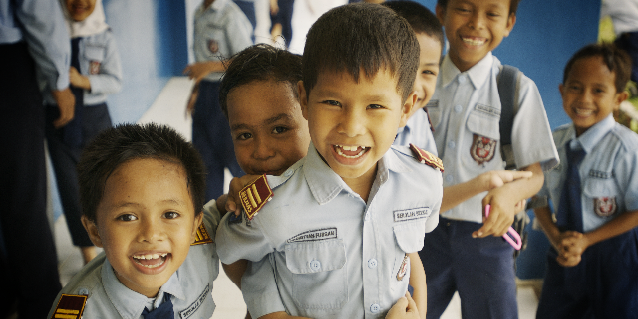 In 1975, Indonesia was in the midst of a major push towards economic development. The country was also celebrating its 30th year of independence. The opening of RGM’s Besitang plywood mill was an opportunity for the President to endorse entrepreneurs like Sukanto Tanoto who contributed to the country’s continued economic development. 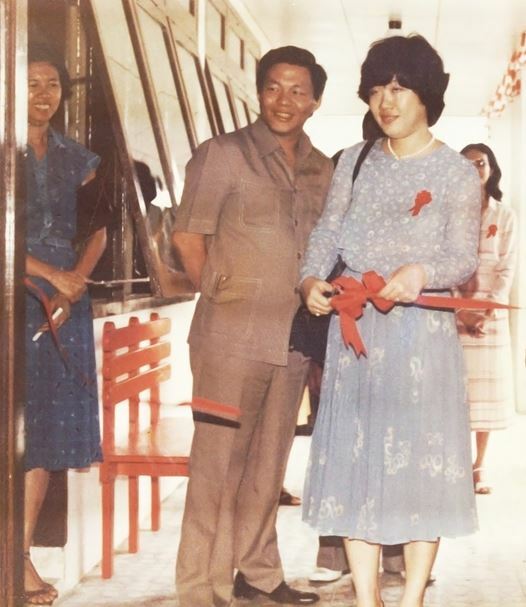 On August 7, 1975, President Suharto and his Cabinet Ministers came to Besitang to witness and officiate the opening of the plywood mill. Together with mill employees, a 26-year-old Sukanto Tanoto welcomed the officials and gave them a tour of the facilities which were set to employ around 2,000 people. Since the opening of Besitang mill, Sukanto Tanoto’s entrepreneurial spirit has expanded into other industries, namely, pulp and paper, palm oil, specialty cellulose, viscose fibre, and oil & gas. RGM which officially changed its name to RGE in 2009, now manages a group of world-class companies in the resource manufacturing industry. RGE seeks to improve lives by developing resources sustainably, and create value for the community, country, climate, customer and company. Assets held by RGE managed companies today exceed US $18 billion and it has a workforce of over 60,000 employees, with operations in Indonesia, China, Brazil, Spain and Canada. Sukanto Tanoto and his wife Tinah Bingei Tanoto observed that the standard of education in rural Besitang was not on par with their hometown of Medan. Determined to give the children of RGM staff access to quality education, they decided to build schools in Besitang from kindergarten level all the way to junior high. The kindergarten was inaugurated on September 7, 1981; the primary school on July 1, 1982; and the junior high school on March 1, 1984. Education experts from Medan were also invited to conceptualize the curriculum and pedagogy. What had started as a straightforward school development program quickly transformed into a holistic, integrated social development programme. The effort to provide education for the children blossomed to a programme for parents to get training on how to improve their livelihood and for general community members to learn basic skills to enhance their quality of life. 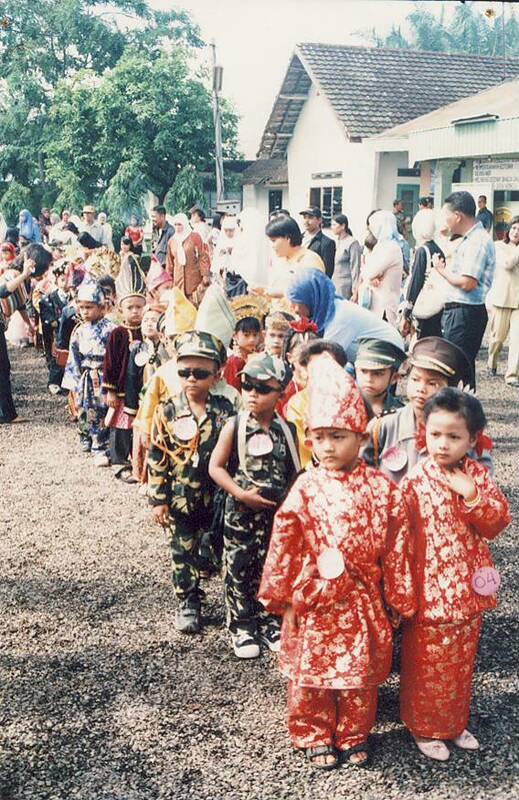 This philanthropic act of building the schools in Besitang in 1981 was the birth of Tanoto Foundation. Formally established in 2001, the Foundation aims to be a centre of excellence in poverty alleviation through the 3Es of Education, Empowerment, and Enhancement of quality of lives. Tanoto Foundation today has provided over 20,000 scholarships, built schools and educational facilities that produced 27,000 graduates, developed 60,000 hectares of Community Livelihood Plantations, and created more than 1,800 jobs in local communities through programmes for Small and Medium-sized Enterprises (SMEs). It has also provided disaster relief, sending aid to victims of natural disasters such as tsunami, earthquakes and floods. Tanoto Foundation also supports medical research for diseases that are prevalent in Asia such as cardiovascular diseases, diabetes, and cancer, through the Tanoto Professorship Awards.